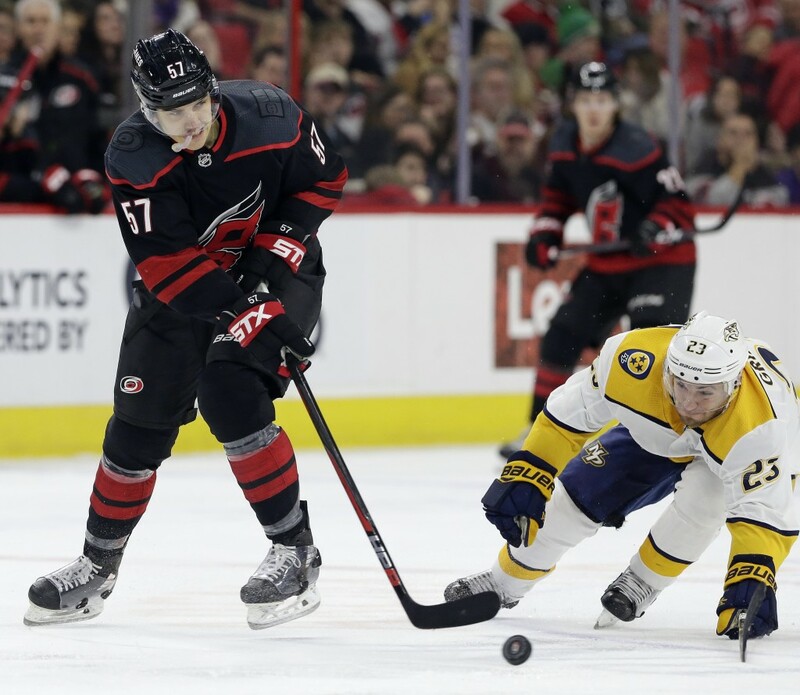 RALEIGH, N.C. (AP) — Sebastian Aho had three goals and an assist to lead the Carolina Hurricanes to a 6-3 win over the Nashville Predators on Sunday. Carolina had an advantage on special teams with two power-play goals. The Predators got a short-handed goal but went 0 for 4 on the power play. NOTES: Williams, in his 18th NHL season, matched his career-best scoring streak with a goal in five straight games. ... Left wing Phillip Di Giuseppe played 21 games with Carolina this season. 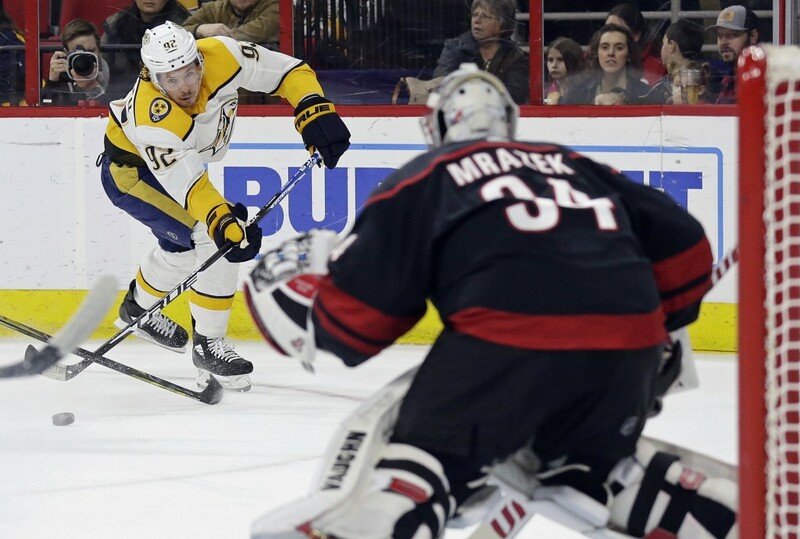 He was claimed on waivers by the Predators on Jan. 1 and played his third game with Nashville on Sunday. ... 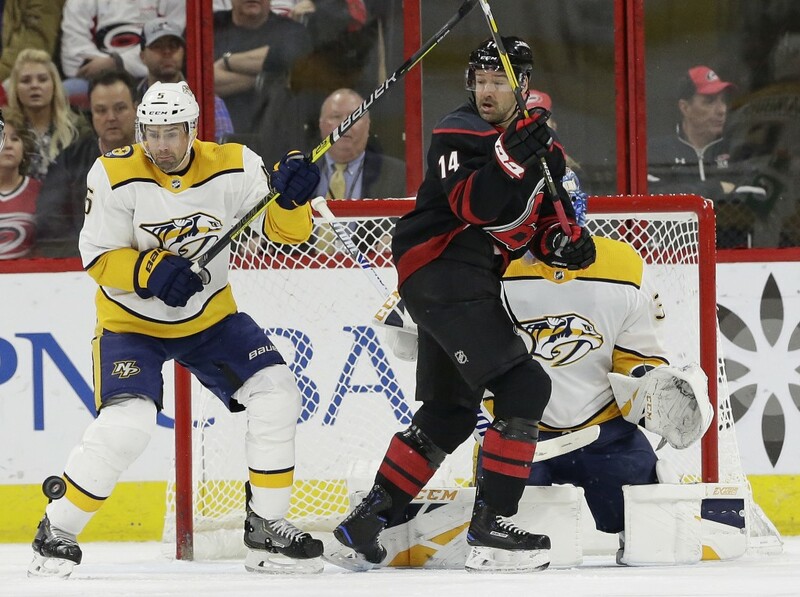 The Hurricanes improved to 7-0-2 in their black alternate jerseys this season.